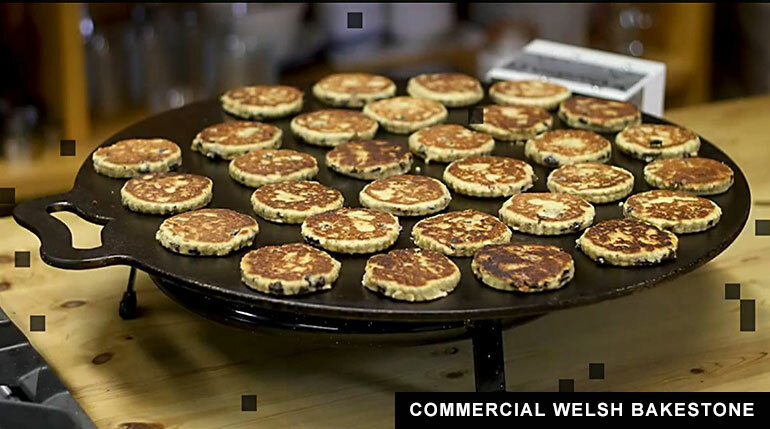 View basket “ZC1 COMMERCIAL WELSH BAKESTONE” has been added to your basket. 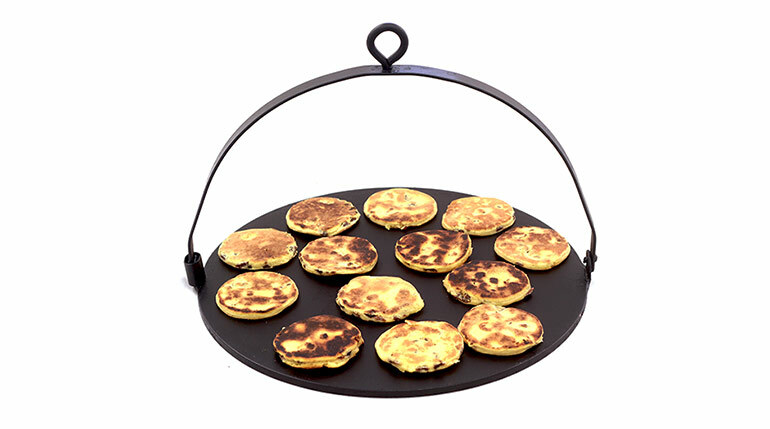 A large commercial sized (traditional) English Griddle at 20 inches / 51 cm in diameter. See video below. 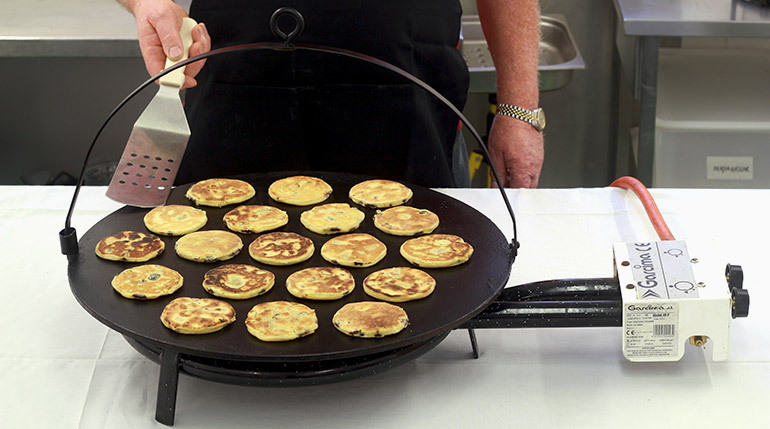 This large commercial traditional English Griddle (modeled on an old 19th Century one in our collection) can effectively bake off over 24 griddle cakes every couple of minutes. 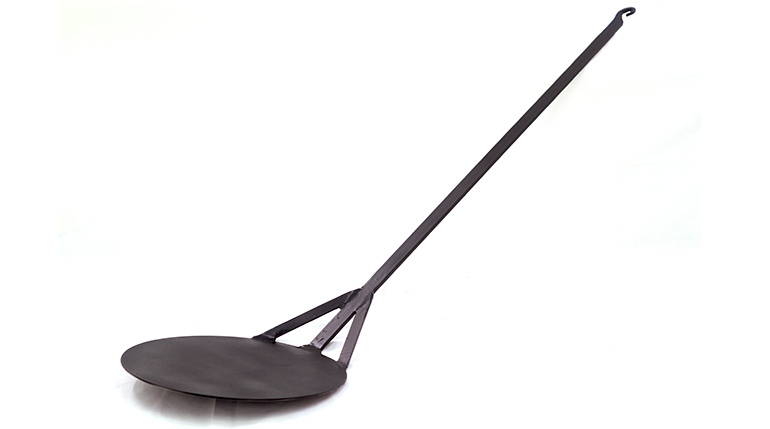 The size of this commercial English Griddle is 20 inches / 51 cm in diameter (over half a meter) and it is a heavy item – note the half-moon handle does fold down flat for storage. The cost of this griddle is excluding the price of the gas ring burner (as seen in the video below) – if you would like to purchase the English Griddle and the gas ring burner please contact us for a packaged price. This is a hand-made reproduction, made from an original design, and, because it is made of a thick steel plate (which is basically like cast iron, without the brittleness) it is able to be used on a wide range of large commercial modern convection / induction / radiation cookers and fires. We normally use it over a portable commercial gas ring burner, as shown, however, it can also be used traditionally over an open fire, hanging by a trammel-hook, or using a fire dog to sit on, or a large commercial gas stove or electric cooker. Note this is a very heavy item. 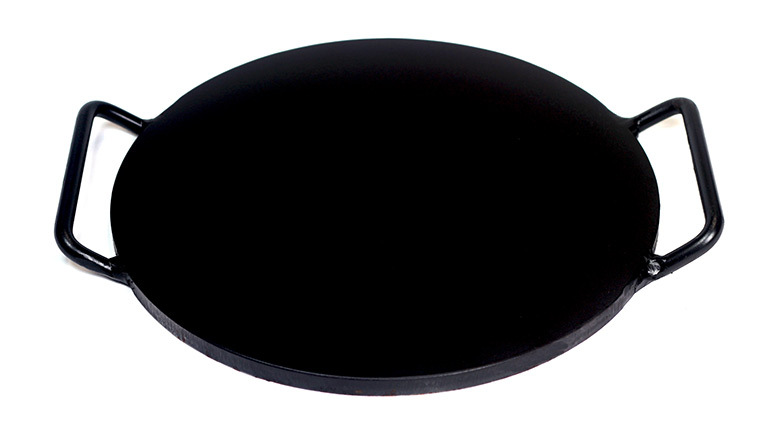 At Oakden we also offer a range of commercial sized bakestones and griddles. If you would like to have a bespoke / different sized or regional type one made please contact us. 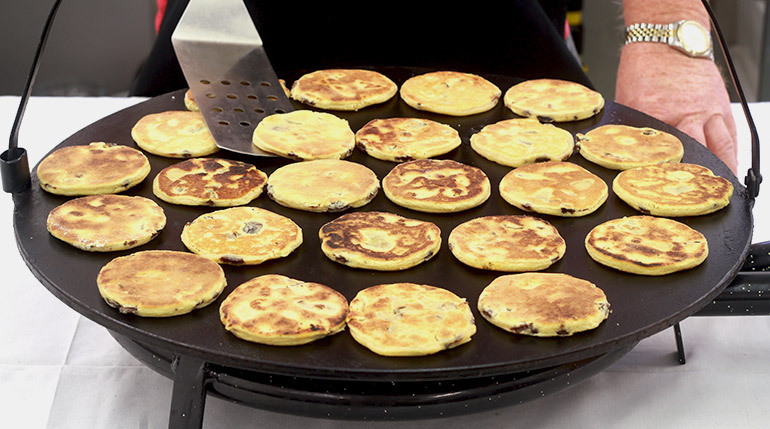 VIDEO: An introduction to the range of Oakden commercial bakestones and griddles.